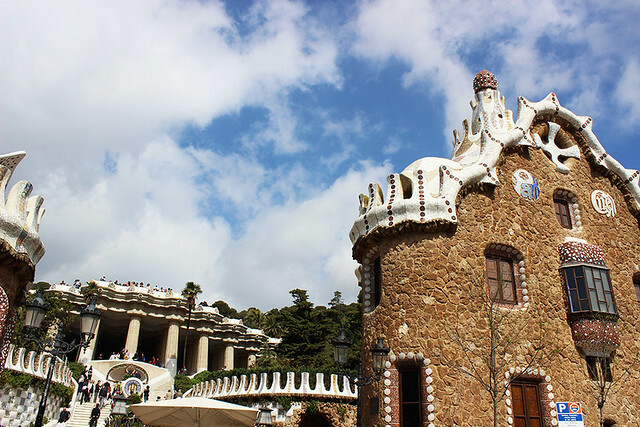 After spending the first day walking around Barcelona, the next one was all about discovering two places that make the city so unique and distinctive: the famous basilica de la Sagrada Familia and Park Guell. 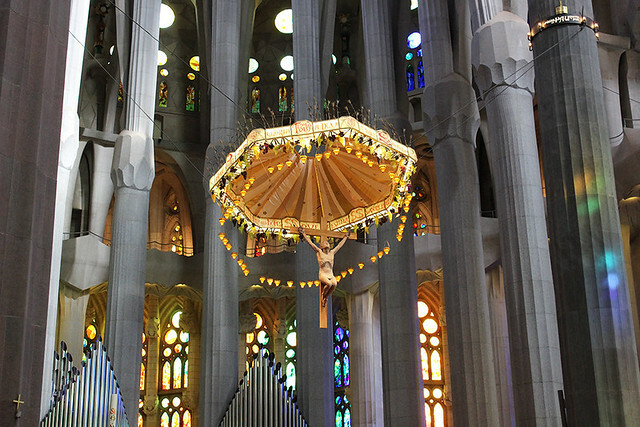 I had heard about the Sagrada Familia before coming to Barcelona, but I didn’t expect much of it. The moment I arrived in front of the main entrance, I was astonished by its grandeur. 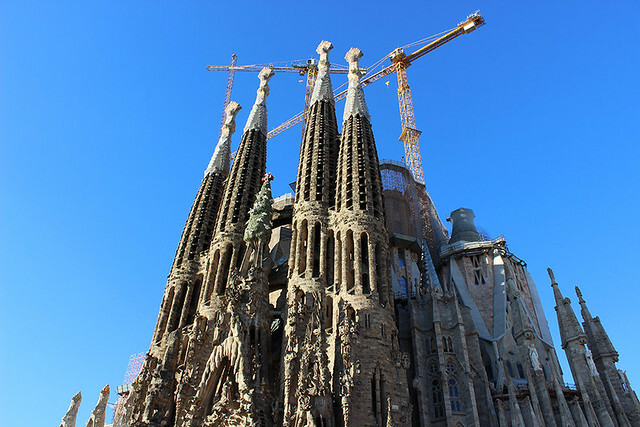 The construction of the basilica began in 1882, but it was only the year after that Antoni Gaudi carried on the works until his death in 1962. 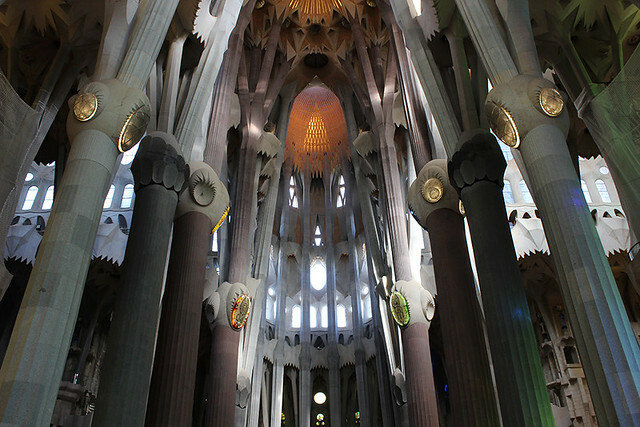 Several architects continued the work after his death, keeping his original vision in mind. As of today, it’s still under construction. 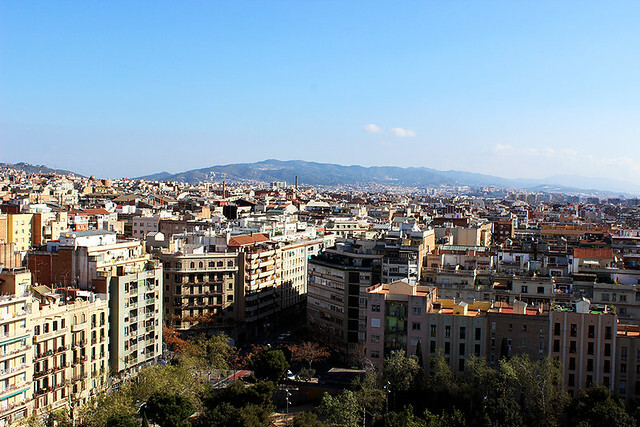 The building is located in the center of Barcelona, and it has become the city’s most recognizable architecture feat – renowned worldwide. Here’s the main entrance of the basilica. 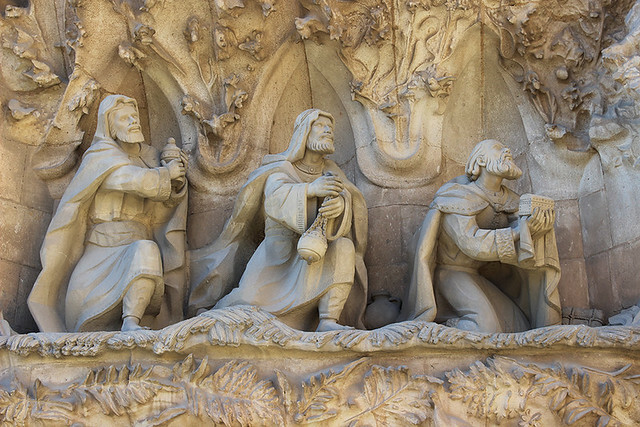 Up close, you can see the detailed sculptures depicting the birth of the Lord Jesus Christ. Amazing, isn’t it? The three magis (also known as the Wise Men) with their gifts for the newborn King. Joseph and Mary and their newborn son, Jesus Christ, son of God. 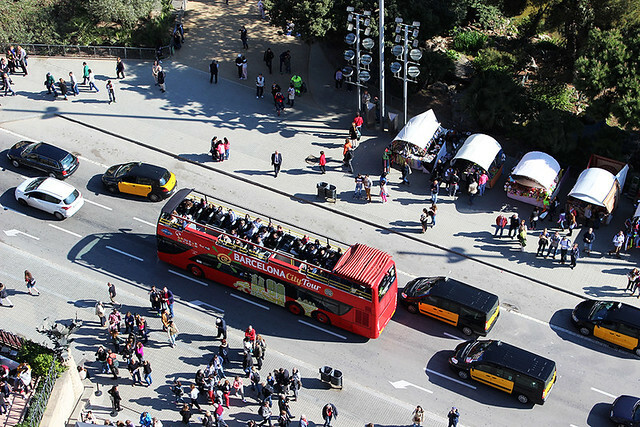 If you think the outside is impressive, the inside is just… unbelievable! 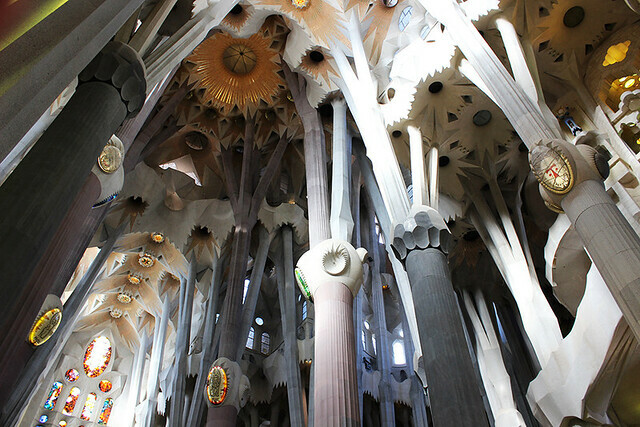 In terms of personal preferences, I’m not a big fan of Gothic or grotesque style, but Gaudi’s works are just one-of-a-kind. How can you not be amazed by his masterpieces? 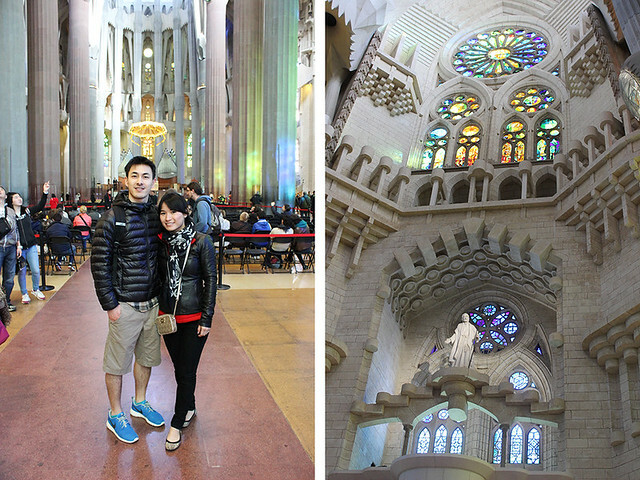 The colors that you see inside the basilica aren’t lights, but sunlight shining through the colorful stained windows. Right in the center of the building is a statue of Jesus Christ on the cross. Every time I look at it, I feel a little knot forming in my stomach. 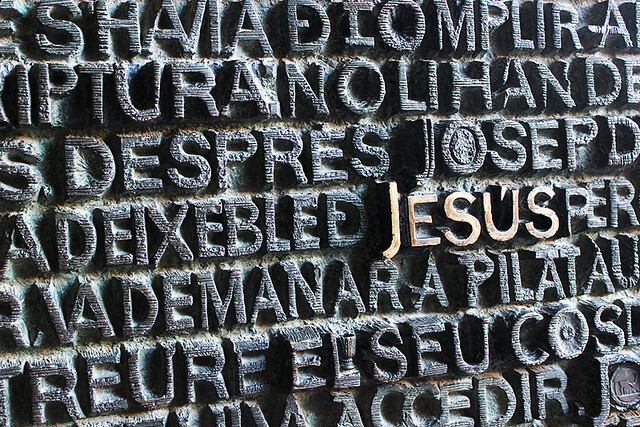 I’m reminded of what Jesus has done for me, for all of us, and how my life wouldn’t be the same if I hadn’t known Him. 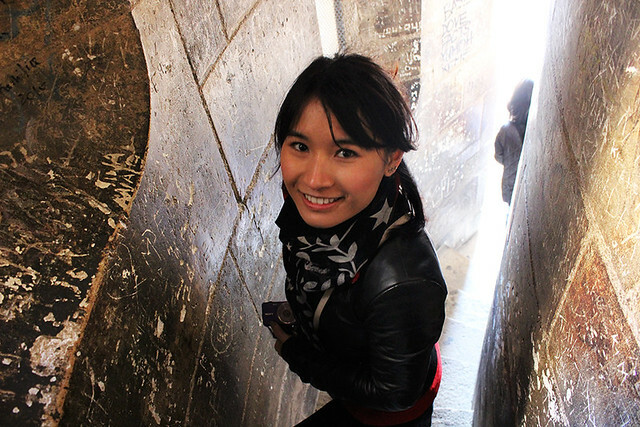 Later, we took the elevator and went all the way up to the top of one of the towers; and we had a beautiful view of the city. We exited the building by taking another door, and on the other side, we saw more sculptures. They illustrate the final events that happened before Jesus’ crucifixion: Jesus’ last Supper with his disciples, Judas’ betrayal (with a kiss), the yelling and the beating, and Jesus’ death on the cross. 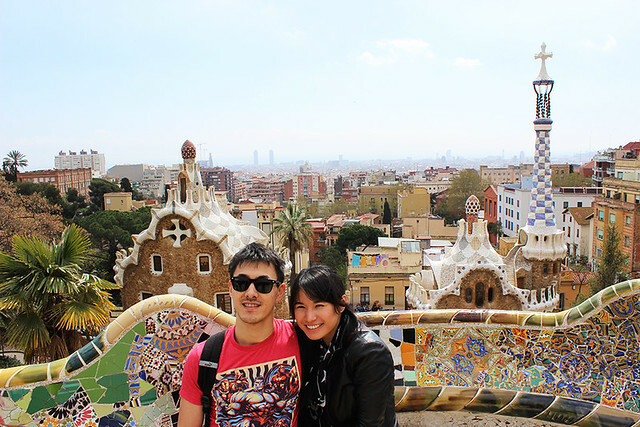 After visiting the Sagrada Familia, we walked to Park Guell, also one of Gaudi’s famous masterpieces. 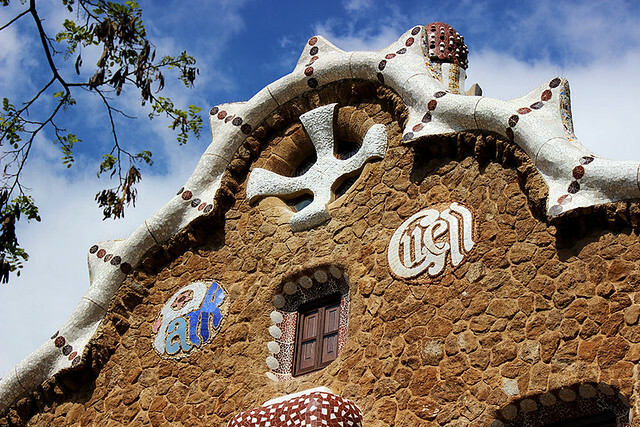 The architect’s distinct style can be easily recognized by the repeated use of colorful ceramics, stained glass and rounded shapes. 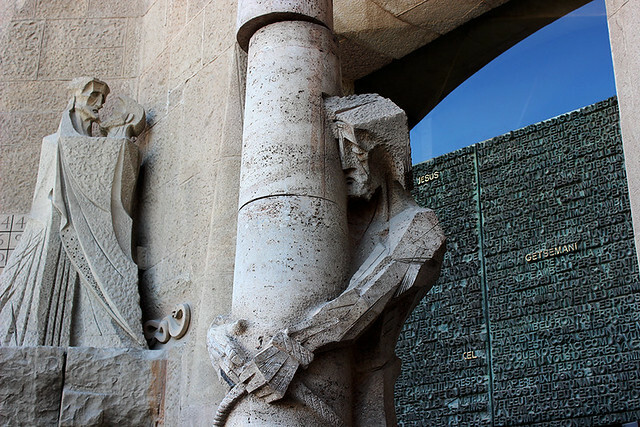 You rarely see any symmetrical forms in Gaudi’s works. 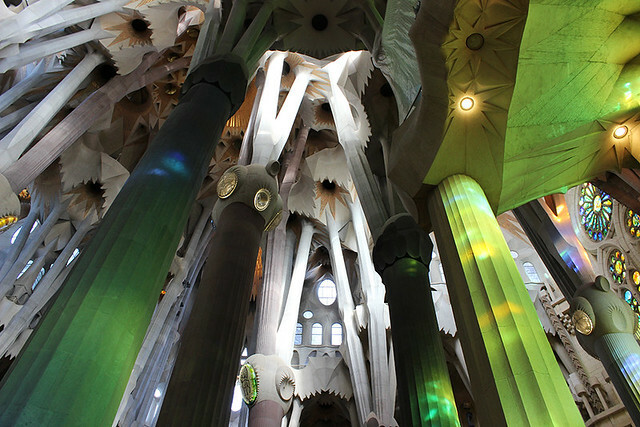 His astonishing creations have earned him the nickname of “God’s architect”. 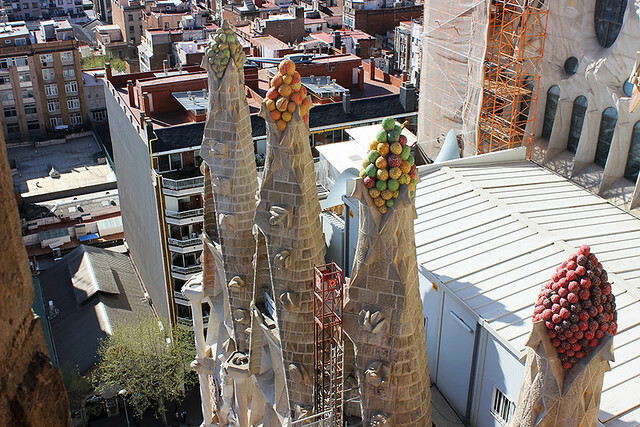 Apparently there are many sculptures of lizards and dragons around the city, something that’s also part of Gaudi’s style. 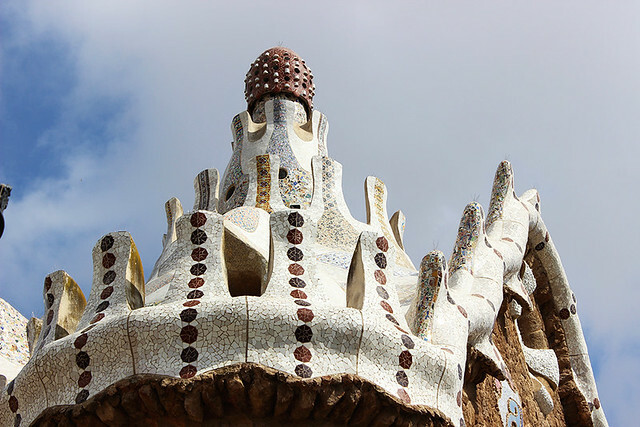 In fact, the roof of the Casa Batllo looks like a dragon’s tail. 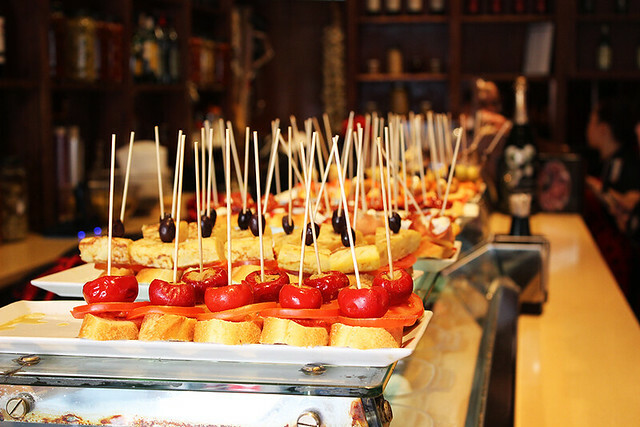 When in Spain, you have to do like the Spanish do: eat tapas. 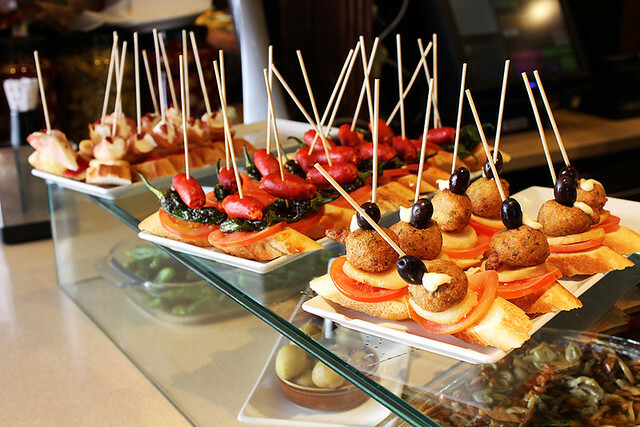 There are many tapas restaurants next to the apartment that we stayed at. 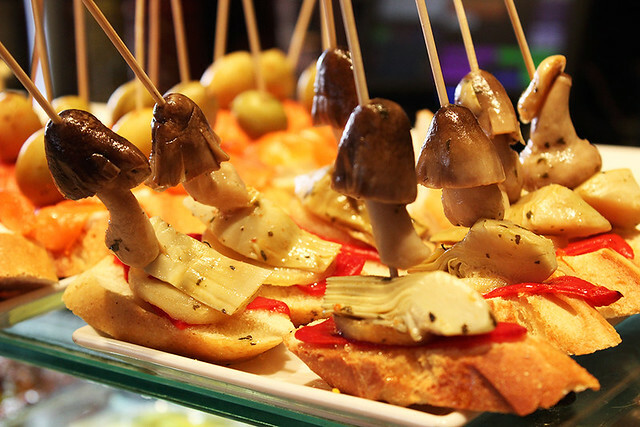 We stumbled upon one of them and had incredibly delicious tapas accompanied with a glass of rosé as an afternoon snack. All the photos were taking by my husband and I. If you wish to use them for any purposes, please request permission.